In the unfortunate event that your drains are blocked in the Hampshire area, and there’s water all over your property, or perhaps even worse, get in touch with Emergency Plumbers Hampshire and we’ll take care of all your drainage aspects for you. For any issues with your drainage, we have the expertise needed to guarantee that your drain blockage or plumbing problem is dealt with efficiently and effectively. With a wealth of experience in the plumbing industry, we pride ourselves on the ability to offer an expert service at competitive rates. Our reliable and prompt services are utilised by domestic and commercial drainage clients throughout Hampshire and the surrounding areas. Our dedicated and reliable workforce is armed with the equipment, training and experience needed to tackle any drainage problems you may be experiencing. If you opt for our 24-hour emergency service, our experts will be focused on providing you with a quick and efficient response time. Our goal will be to arrive at your property the very same day, allowing us to investigate and resolve the problem with your drainage. We have invested in the latest and most effective technology that provides accurate assessments and resolutions to all issues with drainage. We believe that drainage issues must be promptly investigated and fixed because if they are left for too long, this can have adverse effects on your property and can ultimately lead to structural issues, which can become incredibly costly to repair. 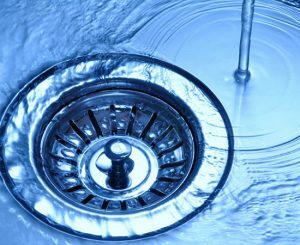 By telling us about your drainage problem, then discussing how we can resolve the blocked sink, toilet, bath, drain or even your basement flooding, we can ensure that you are not left in the dark and are happy with the service that we provide you with.